The upward curve of the UK’s economy is proving to be unstoppable, and it has just been reported that the number of cars that the UK has manufactured and has exported in only the first four years of this decade has now exceed five million vehicles. When compared with the same time period of the last decade there were considerably fewer than five million cars exported from the UK, and as these vehicles are being exported it may be a sign that many other worldwide economies are starting to recover. In July of 2014 just short of 103,000 cars were exported and this has had the knock on effect of guaranteeing long term work and financial security for the tens of thousands of workers in Great Britain who are directly and indirectly involved in the car industry. 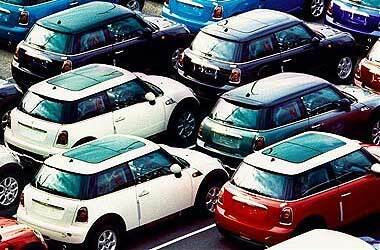 The average price of each car exported has of course increased massively over the last ten years and back in 2004 the average price of an exported vehicle from the UK was £10,200 with the average price of a car exported from the UK this year now being over double that value at some £20,600. What makes these set of export figures more interesting is that the currency of the UK that of course being GBP is performing very strongly at the current moment in time and many commentators had expected the increased costs involved with exporting goods due to the strength of the Pound against for example the US Dollar and the Euro would have caused exports to slip and reduce in number, when the opposite is in fact the case. It may be worth you investigating the possibility of placing some long term Binary Options trades on Car and Car Part companies based in the UK as this upturn in exports does not appear to be stopping any time soon, and those Binary Option investments may just prove to be profitable. The Bank of England have also just announced that they will not be increasing interest rates this time around, and as such the number of cars sold to UK residents and companies based in the UK may just see an increase as citizens of the UK with loan and mortgage commitments will not, for the short term, see their repayments on those loan and mortgages increased via hiked up interest rates and will have more disposal income.